Are you dreaming of an epic road trip for your upcoming vacation? Did you know you can rent an RV for less than the cost of staying in hotels along the way? 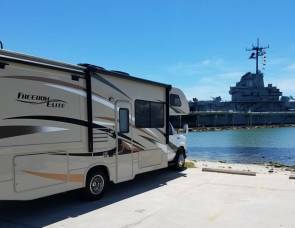 The RV industry has seen a serious upswing in the last several years, and now RV rental vacation packages are more affordable than ever. With rental companies across the country, you don’t have to travel far to pick up your RV. So whether you want to take a few days exploring nearby towns, or a few months touring the entire nation, you don’t have to search hard to find a rental. Your road trip dreams are within reach. Our platform lets owners list their RVs and control the rental process. 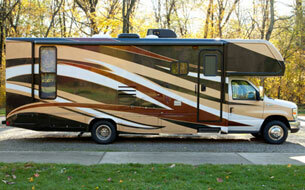 More than 9 million households own RVs, and many owners only use their RVs for part of the year. When they’re not using them, they can rent them out using RVshare. Because the network is so big, you can find just about any kind of RV, from vintage camper vans to brand new toy haulers. 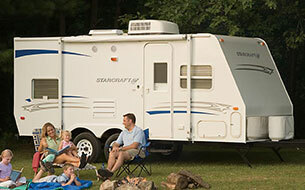 You’ll look through hundreds of vacation RV rentals by owner, where the owners set the rental rates and rules. Often, you’ll find that their rates are much lower than commercial rental rates. Furthermore, all the extra fees (like damage deposits and mileage overages) are clearly printed in the listing. No more digging for hidden fees buried in fine print. You work directly with the owners throughout the whole process, which gives you more control. You can message them through the platform if you have a question. They’ll give you a tour of the RV when you arrive. You’ll have their number in case something goes wrong. It’s a warmer, more personal experience than working with a large company. We offer the same benefits as big commercial companies, like up to $1 million in liability coverage. You’ll have access to free, 24/7 roadside assistance, too. 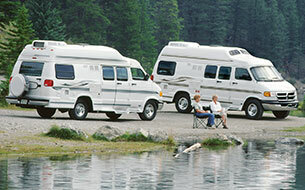 Some RV owners even offer additional auto insurance with their rental, for a small fee. Finally, we have a 5% cash back rewards program. You can use your rewards toward your next rental from us. Of course, the choice is ultimately up to you. Whether you go with a large RV vacation rental company or rent from an individual through RVshare, don’t forget to look for seasonal deals and specials. 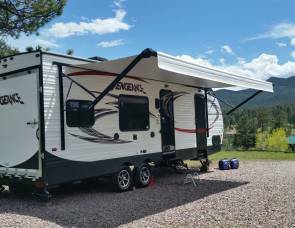 Most rental companies and RV owners will give you a discount if you rent for longer than the minimum term. The first thing you should do is look for specials and deals. 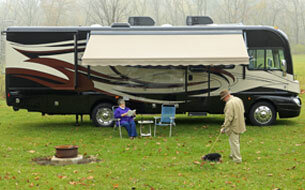 RV owners and rental services usually run specials during the off-season. If you’re into winter camping, you could make out like a bandit! Some companies offer location-specific deals, where they’ll give you a flat rate and free miles for a certain number of nights, provided you either pick up from or drop off at the predesignated location. You can also find occasional one-way deals and factory delivery specials. 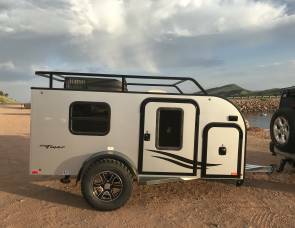 The company will give you a deeply-discounted rate to pick up a new RV at the factory and deliver it to one of their locations. Most companies have a minimum rental term, usually between two to three nights. Look for discounts on longer rentals. The longer you rent, the lower your daily rate will be. If you’re renting through RVshare, you can use the integrated messaging feature to communicate with the owner. Why not try your hand at negotiating? Regardless of who you rent from, always check for mileage and generator limitations. Some companies will charge you if you go over the allotted daily miles, or charge you for each hour you use the generator. Stay within the limits, so you don’t get whacked with fees. Roll down your windows and let in the sea breeze on the PCH. California’s Route 1, AKA the Pacific Coast Highway, follows the coastline of (almost) the entire state. It’s a picturesque highway bordered by crystal blue waters, towering palm trees, and craggy cliff sides. Don’t forget to stay at one of these seaside campgrounds along the way. Escape to the misty mountains of the Blue Ridge Parkway. Widely considered the most beautiful road in the U.S., the Blue Ridge Parkway meanders its way through the mountains of Virginia and North Carolina. You’ll be treated to breathtaking vistas regardless of season, though most people flock there to watch the leaves change in autumn. There are eight campgrounds along the Parkway offering primitive camping in the forest. Witness the otherworldly sights of the Red Rocks. Take it slow on Sedona’s Red Rock Byway, because although it’s only a short 7.5-mile drive, it’s packed with things to see and do. Whether hiking the Red Rocks or checking out the archeological sites at Coconino National Forest, there’s a lot to explore in Red Rock Country. 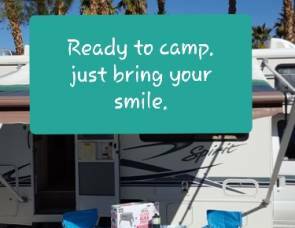 There are several area campgrounds that allow RVs. Still looking for more inspiring RV vacation destinations? When you rent an RV, you’ll save more money than you would on hotels, so you can spend it on exploring new and exciting places! Now get out there and make your road trip dreams come true! Most households have an unsolved Rubiks Cube but you can easily solve it learning a few algorithms.